Looking forward to my next Kombucha Demo on Saturday, July 23, from 2-3 pm in Brookline, MA. For more details and to RSVP, please visit the event page on the Urban Homesteaders' League here. You can also RSVP by e-mailing me at kombuchafuel[at]gmail.com. Hope to see you there! 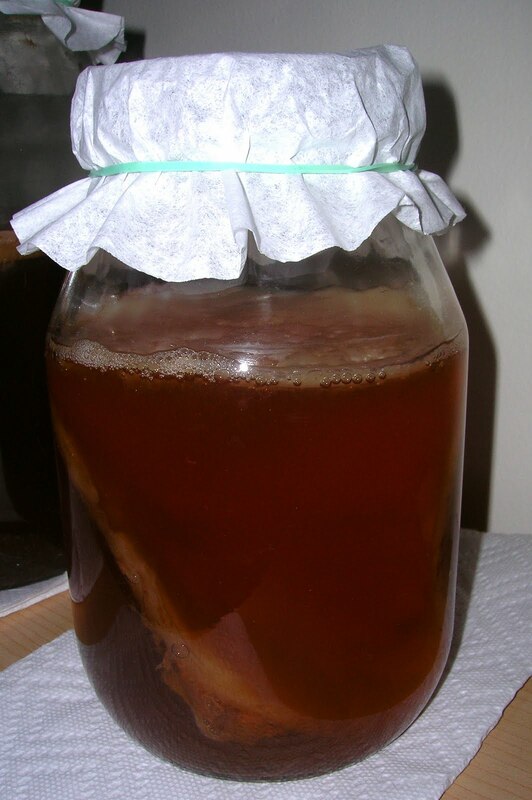 Fruit flies can be quite troublesome for kombucha brewers, particularly during the warmer months. To help prevent fruit flies from getting into your brew, it is suggested to cover your ferment with a breathable covering with tight weaving. If you do use cheesecloth, layering the cheesecloth with multiple layers is also recommended. Making a fruit fly trap is an effective and easy way to catch fruit flies. To make a fruit fly trap, take a glass jar, and add some kombucha or apple cider vinegar (or any vinegar other than white vinegar) to the bottom with a few drops of liquid soap. Placing an inverted funnel in the glass jar (such as the top half of a plastic water bottle) also helps to ensure that the fruit flies won't escape. Read some more about kombucha and fruit flies and other kombucha cautions and concerns on Happy Herbalist.